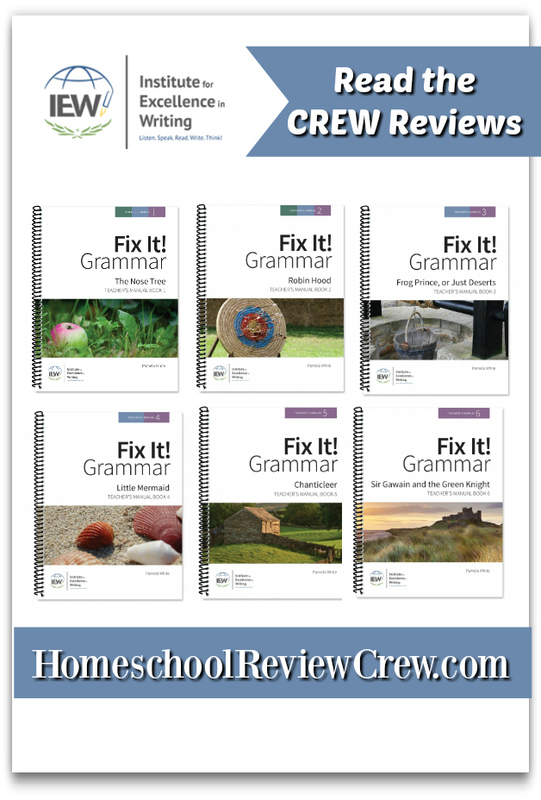 I have always been quite the stickler for grammar so when we had the opportunity to review the Fix It! Grammar program from the Institute for Excellence in Writing (IEW) I was pretty happy with the idea. IEW generously provided us with both the Teacher’s Manual Book 1 The Nose Tree as well as one printed copy of the Student Book 1 The Nose Tree. This allowed us to each have our own preprinted, coil bound book to work with plus we could print extra student sheets since the Teacher’s Manual includes a complete download of the Student Book. This helps make it all so reasonable especially if you have several children who will be working through the program. The first thing I did once I knew we would be using this program was to check out the video. This really helped lay out the program in a step by step fashion and gave me a good overview of what we would be working with. This explanation was complete and got us started off in the right direction. We did the placement test and decided to start with the first level since EJ was between levels and we hadn’t used this program before so beginning at the beginning would help him to review and master the parts he was already comfortable with while working on those areas that were new to him or where he needed a little extra practice. Every Day – Read the sentence. Find the definition of the vocabulary word and write a brief definition. Day 1 – Student and teacher read the instructions together, then your student will fix and mark the first passage (with your help), then discuss anything that was missed. After fixing this, rewrite the passage in a notebook you have for the program. Days 2-4 – Follow the guide at the top of the page and mark the passage. Discuss this with your teacher and make corrections and write the passage into your notebook again. Simple right? 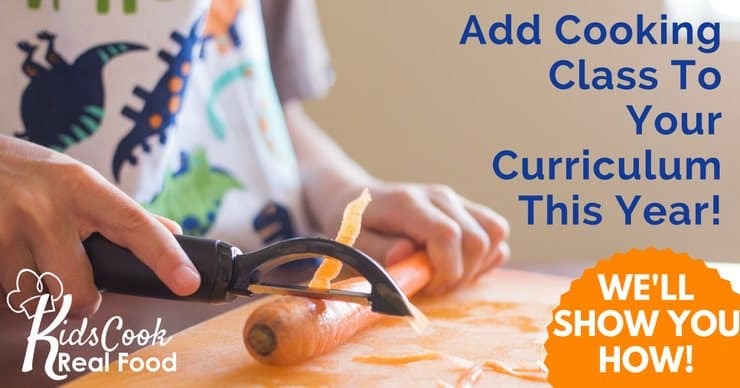 Beginning in week one with nouns, homophones, and end marks Book 1 moves to progressively more difficult grammar and concepts while continuing to solidify your child’s mastery of the skills learned in the very first week. I like this process since we do find EJ’s ADHD does create some memory challenges for him so a program that repeats itself while still moving forward is a good thing in our home. We also liked that the work is based on a classic German folktale that has a moral to it. And since it was a fairly easy read, there was little grumbling from EJ when he was asked to do his work on it. That said, there were a number of vocabulary words (wretched, tallying, queried) that children may not be familiar with or use very often these days. This helped keep him interested and eager to search his dictionary app for daily definitions. In addition to the well laid out lessons, there are flash cards (to cut out) included that go along with each week to explain and solidify the grammar concepts your child is learning. We found them handy for EJ to use if he was a little unsure of one of the top of the page instructions, especially one he had done a couple of weeks before. It allowed him to be more independent and helped build his confidence rather than having to ask about the same thing again and again if he was unsure about it. Another bonus is the Fix It! Grammar Glossary, included in both the student and teacher books this resource acts almost like a style guide, going through each of the main grammar points and explaining in clear language. This was EJ’s first comment when I asked him what he thought about Fix It! Grammar. He explained further that having the weekly lessons broken down into small daily activities helped him feel less overwhelmed by the work and he also felt that adding to his grammar cards each week helped him to remember what he had learned. He said he remembered learning some of this in the past but Fix It! made it all very clear to him. First off, any program that gets EJ interested in grammar is high on my list for positive things since this has always been his challenge area. I like the program myself since it is ready to go, right out of the postal envelope and with so many levels available, we can continue on using it through high school. We found Fix It! Grammar, The Nose Tree, Book 1, to be a good fit for our family and I’d encourage you to have a look to see how it may fit yours as well. And don’t just trust me, to hear what other Crew families had to say about Fix It! Grammar be sure to click the image below. You’ll be able to learn what they had to say about the different levels as well.